Looks like a good summer of telly ahead. RTÉ has just released their summer schedule and the next few months will see a huge array of programmes hitting our screens courtesy of the national broadcaster. First up is Niall Horan with the RTÉ Concert Orchestra, airing on RTÉ One at 6.55pm on Saturday, 12 May. 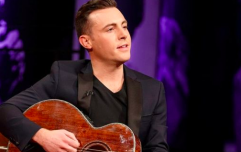 The special one-off show sees the singer-songwriter and his band joined by 45 members of the RTÉ Concert Orchestra as they perform a selection of songs from Niall’s debut solo album Flicker, as well as exclusive interviews. Later that evening will see RTÉ One air the Eurovision Song Contest final in Lisbon, with hopes that Ryan O’Shaughnessy will bring home the trophy with the specially-penned song 'Together'. Mrs Brown is also back on telly this summer with a new series of All Round to Mrs Brown’s featuring celebrity guests, games, music and audience surprises on RTÉ One. Mary McAleese will grace our screens in Mary McAleese's Modern Family. In the show, the former President sets out to meet different Irish families to talk about diversity, economics, faith, gender politics, sexuality, the role of women and much more. Miriam O’Callaghan is set to present The Long March, an intimate account of the 1968 Civil Rights movement – as told by the people caught up in a tumultuous time. Galway Film Fleadh winner, In the Name of Peace: John Hume in America is also on the schedule, a story of the extraordinary work of Nobel Prize-winner John Hume to harness and leverage US support to help to secure peace in Ireland. 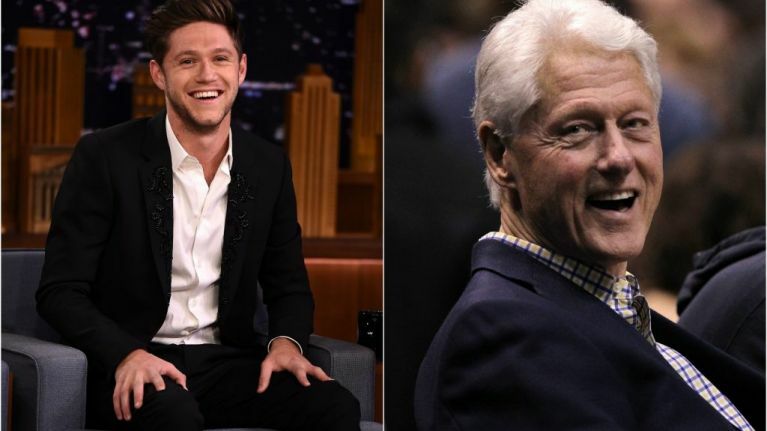 It includes interviews with President Bill Clinton President Jimmy Carter, many US Senators and Congressmen Irish leaders and British Prime Ministers Tony Blair and John Major, and is narrated by Liam Neeson and scored by Bill Whelan. In a bumper summer of sport on RTÉ, The Sunday Game throws-in on Sunday 13 May with Michael Lyster in the chair for his final season while the FIFA World Cup in Russia begins on June 14 and all 64 games from the Greatest Show on Earth will be live on RTÉ with RTÉ2 showing 56 live games and eight games on RTÉ Player. With exclusive access to Tommy Bowe in the months leading up to his retirement from professional sport, The End Game will be an honest and personal account of what sports people must face when it comes to the end of their career. And The Game, a major new three-part social history series produced in association with the BAI will provide a definitive history of hurling, celebrating and chronicling a truly unique part of Irish culture through more than 100 years of bitter rivalries, dominance, triumphs, upsets and comebacks. Filmed over the course of two years, My Trans Life, on RTÉ2 on 17 May will offer an intimate portrait of the lives of five young (18-25), transgender people on their journey to transition. In My Broken Brain, five people allow cameras into their lives as they seek to cope with their respective illnesses – the early onset of Alzheimer’s Disease, Parkinson’s Disease, Epilepsy and Motor Neurone Disease. Our Lives in Property: Oxmantown Road uses the experiences of those living on one Dublin street to paint a picture of the Irish property market across the past 50 years and to chart its course from boom to bust and back again through the stories of those who bought there at different times. Daniel and Majella are on the road again later this month to experience the hidden treasures that only locals know best. And finally, tour flag in hand, Francis Brennan heads off to a mystery destination for a brand new series of Francis Brennan’s Grand Tour The Road Less Travelled, a new series in which he motors on three different routes to meet the people and hear the stories that lie beneath the tarmac. To check out the schedule in full, you can do so on the RTÉ website.